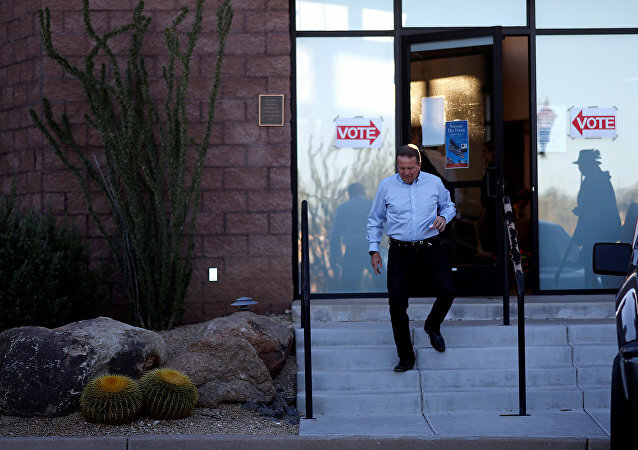 WASHINGTON (Sputnik) - The reported issues at three polling locations in the US state of Arizona, one of the key states in the US Senate race, have been resolved, Maricopa County Recorder Adrian Fontes said in a message on Tuesday. 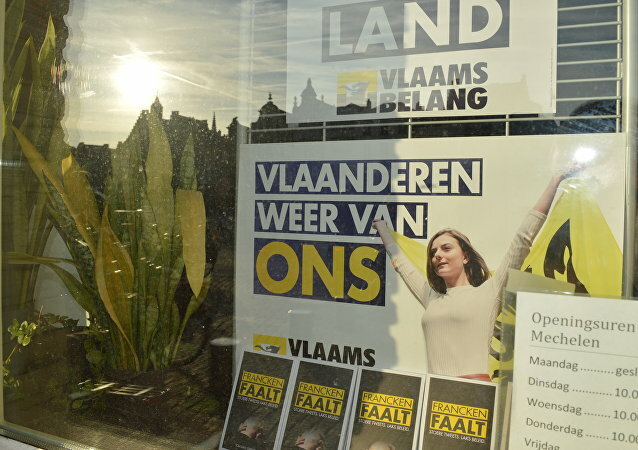 Belgian voters cast their ballots on Sunday to pick candidates for provincial, district and municipal offices. For many politicians, the event is also a “rehearsal” for the upcoming federal elections, which will be held in the spring of 2019. Lebanese citizens have cast their votes for the first time since 2009, as the current parliament had extended its term three times justifying it with the political instability in the country. 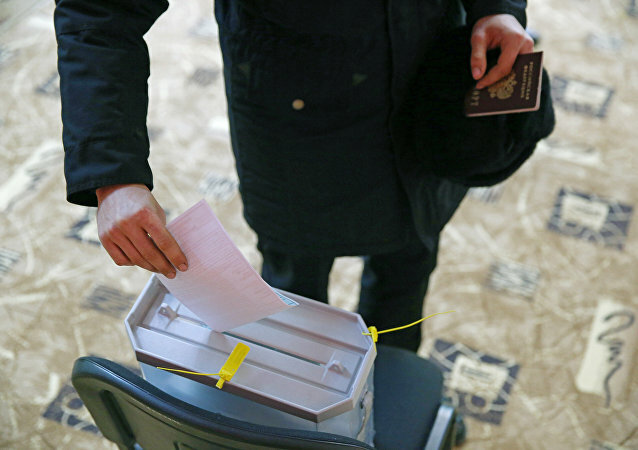 On March 18, Russia held its presidential election. Sputnik spoke with Dragana Trifkovic, head of the Belgrade-based Center for Geostrategic Studies, about her experience as an observer during the vote in the Crimea. WASHINGTON (Sputnik) - Voting for the next Russian president has finished in the United States and in Canada, with polling stations closing in Seattle, Washington, Portland, Oregon, on Sunday evening and the vote counting getting underway. 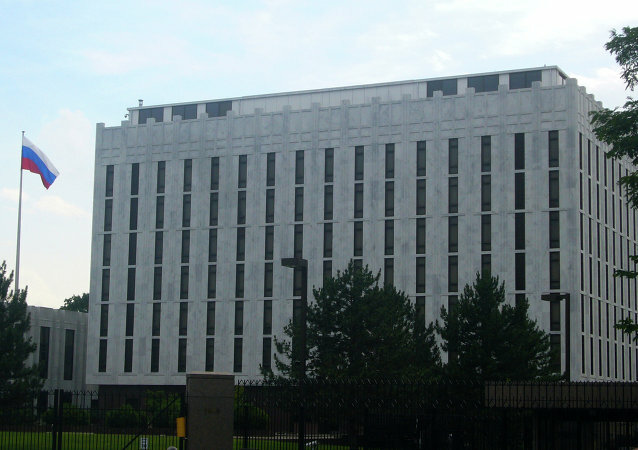 WASHINGTON (Sputnik) – Dozens of Russian citizens are heading to a polling station at the Embassy of Russia in Washington DC to cast their ballots in the Russian presidential election, a Sputnik correspondent reported. A resident of a Russian village decided to make two big life decisions on the same day. He voted for his future president and proposed to his girlfriend right after casting his ballot. 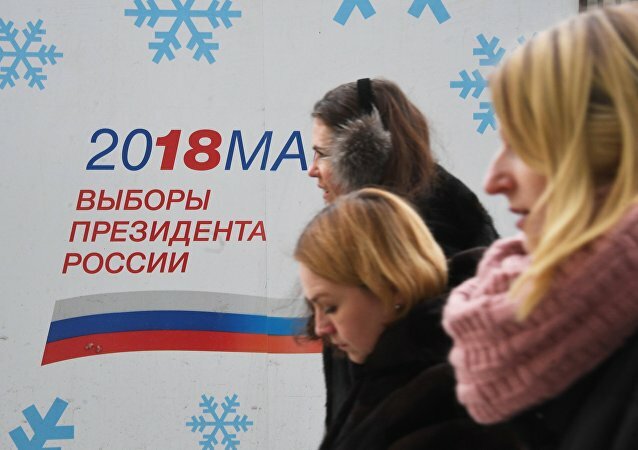 The 2018 Russian presidential elections come after weeks of intense campaigning and debate, as candidates made last-ditch efforts to rally the electorate to their side. The incident has been condemned by Russian diplomats and classified as an act of vandalism. TOKYO (Sputnik) - A total of four polling places will operate in Japan during the Russian presidential election this Sunday, Mikhail Galuzin, the newly appointed Russian ambassador to Japan, told Sputnik. SIMFEROPOL (Sputnik) - The European Union's pledged refusal to acknowledge the Russian presidential election in Crimea is an extremely "ignorant" position, Crimean Deputy Prime Minister Dmitry Polonsky told Sputnik. 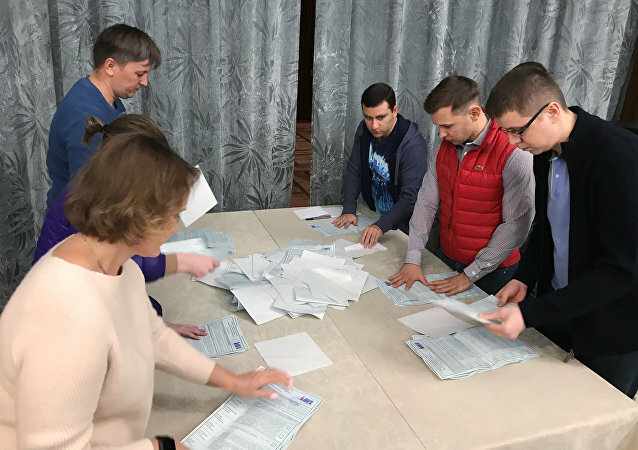 MOSCOW (Sputnik) - Russia's Civic Chamber on Tuesday started receiving applications from people who want to be observers at the forthcoming presidential election. 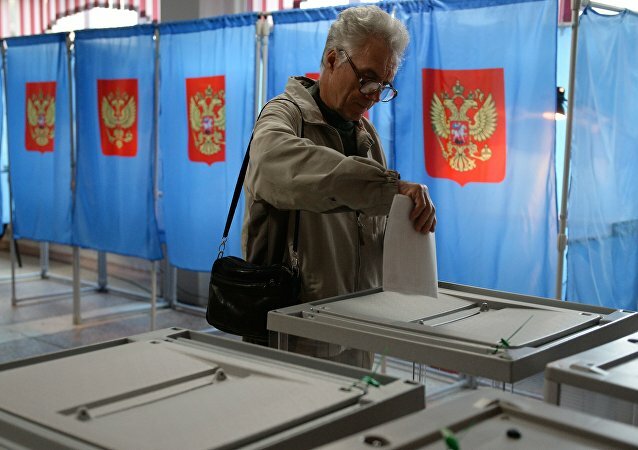 MOSCOW (Sputnik) - As of now, Russia has set up 400 polling places in 145 countries for its presidential election, set for March, Vasily Likhachev, a member of the Russian Central Election Commission (CEC), said on Wednesday. 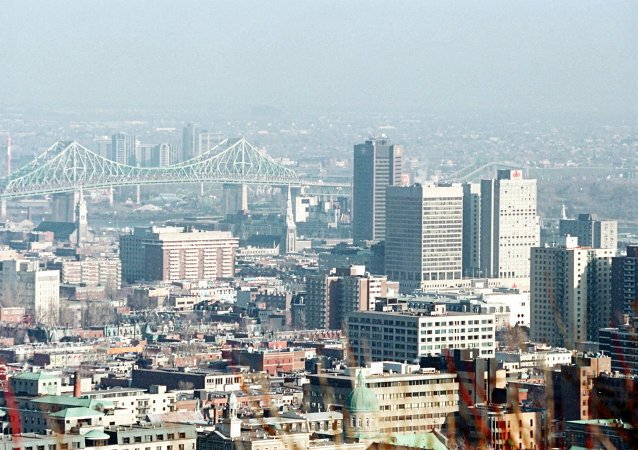 VLADIVOSTOK (Russia)(Sputnik) – A polling station will be opened at the Russian Embassy’s consular department in the North Korean capital of Pyongyang during Russian presidential election, the Russian Embassy said on its Facebook page on Tuesday.